What exactly does an Endodontist do? Do I Need Root Canal Surgery? Why do People Get Root Canals? What Happens During Root Canal Surgery? What Can You Eat Following a Root Canal? What Can I Expect Following a Root Canal? In today’s generation, dentistry is a very highly paid and well respected occupation. That being said, a very common question among people who do not know about the many branches of dentistry is: “What exactly does an endodontist do?” So, in this guide you will learn about endodontists and what they do. An endodontist is a person who studies endodontics, which itself revolves heavily around the study of the pulp within the tooth. To put it simply, endodontists are just like dentists, except they have more experience and more knowledge. 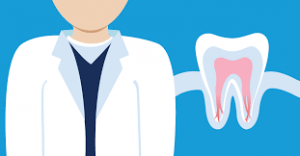 One of the prime examples of the connection between an endodontist and a dentist is that of a doctor and a surgeon. A surgeon has more experience in his or her respected field and is better equipped to handle a patient in a critical situation as opposed to a doctor. The same is the case of an endodontist and a dentist, unlike a dentist an endodontist is more experienced in the field of dentistry and is much more capable of treating your teeth properly. While it is true that an endodontist is a more experienced and better trained dentist, their distinctness rests in the root canal procedure. Endodontists are more famously known for their root canal procedure and they are specifically who you should go to when you need a root canal. Their expertise in the field of dentistry shines the most during the root canal procedure as they are simply better at it. According to various sources, an ordinary dentist does nearly two or three root canals every week, whereas an endodontist does somewhere from a ten to fifteen in a week. The amount of experience between these two occupations is staggering, but the performance differs as well. Seeing how an endodontist performs so many root canals, their efficiency is at another level as compared to that of dentists. Most people who make regular trips to the dentist, often wonder why they would even need to switch to an endodontist in the first place here is why. Putting aside all of the discussion about experience and proficiency, an endodontist is also less likely to make delays or make changes to your appointments. Other than that, they also have access to better technology, and are more capable of using it. Endodontists use a variety of different gadgets and tools all of which can immensely reduce the time that it would otherwise take to perform standard procedures. 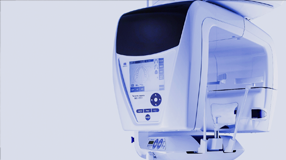 Moreover, endodontists also have much more experience in operating these machines, which makes it less likely that you will sustain an injury. An endodontist is more prepared and much more capable of handling any ailment that may be affecting your tooth. Now that you understand the major difference between a regular dentist and an endodontist, you should not waste any more time. You can contact us at drendo4u@yahoo.com, or visit our website https://youngbuidds.com for more information. What are the root canal procedure steps? A root canal is one of the most feared dental procedures. Due to the stigma that surrounds this procedure, people tend to be scared to properly express their pain and true concerns to a dentist because they are afraid that they might have to undergo a root canal procedure. So, in order to alleviate this stigma, let us tell you about a root canal procedure. It is true that a root canal is not always necessary and that there are very specific situations where you have to opt for a root canal. With that in mind here is how a proper root canal takes place. When our endodontist finds that a patient needs a root canal, we do not start right away. Rather, you will first have to get an x-ray of your jaw which will give our endodontist a good idea regarding how to proceed with the treatment. After we receive your X-ray, we will begin the procedure. The first step in the treatment is to make a patient numb so that they do not feel pain. Although in most cases the nerve is dead, to ensure that a patient is comfortable, we tend to use an anesthetic. 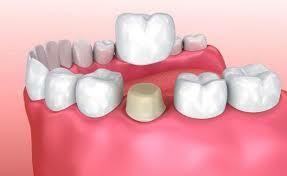 After using an anesthetic our endodontist will place a rubber dam around the tooth that requires treatment. This rubber dam will keep saliva away from your tooth throughout the operation. Now that all of the preparations have been made for the procedure, one of our endodontist will begin. We will start by drilling an access hole into the tooth; this access hole will later be filled and closed. Once we make the access point, the real operation will start. 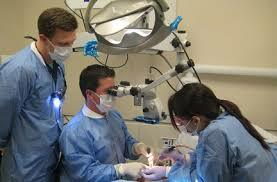 Now we will extract the damaged nerve, dental pulp, and any debris that may be in your tooth. After removing the dental pulp and identifying the cause of your problem, we will use a series of different files to work our way down to the inside of the tooth. These files allow us to scrap the sides of the root canal to ensure that no more bacteria is left that can possibly damage the tooth. Each file has a different diameter, which gives us more flexibility; but don’t worry you won’t feel a thing thanks to the anesthetic we have given you. To clean out the debris left by this filing, we will either use water or sodium hypochlorite at regular intervals. Once we are done cleaning your teeth, it is time to seal it up. However, depending on the reason for your root canal, the seal period may vary significantly. Furthermore, if we are unable to complete the procedure in one sitting, we will seal it off temporarily and will call you once again. We are sure that after reading about the root canal procedure, most of your worries have been alleviated. 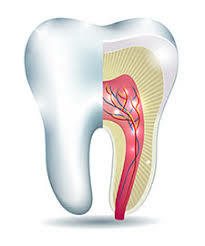 If you still have not received your root canal, you can visit our website or contact us at drendo4u@yahoo.com. What Is a Root Canal? A root canal is a dental procedure that an endodontist performs on your teeth under certain circumstances. We will first take an X-ray of your jaw after which they will secure your tooth. After we have secured your tooth, we will drill a hole in your tooth to extract the dental pulp that will also get rid of bacteria or infections. After we extract the dental pulp we will clean the inside of the tooth and close it. While preparing you for the procedure, the first thing that we do when you are in the chair is to give you suitable anesthetic. Although under most instances the nerve within the tooth is dead, we still administer you anesthetics to ensure that you are comfortable during the procedure. It is also important sometimes as the cleaning can cause some discomfort, but it is nothing that you should be afraid of. A root canal is not the most time consuming procedure; rather, it can take around 30 to 180 minutes to properly extract the inside of the tooth. If you happen to have minor decay inside your tooth, then the procedure may not take more than 40 minutes. On the other hand, if you have deep decay or an infection within the root canal, we will then need two sessions each of about 90 minutes. Can a Root Canal be redone? If so, why? 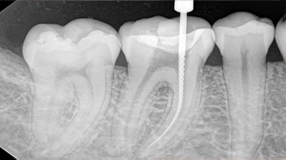 Yes, it is possible for you to get a root canal redone. 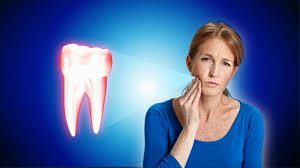 Although it is possible for bad root canal treatments to not need further care, it is possible in case a previously done root canal treatment goes wrong or happens to get infected. 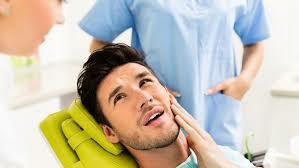 In this scenario, you can indeed ask your dentist for a retreatment, where they will treat your tooth again. This is even possible if you happen to switch dentists or endodontists. Will there be Pain after the Procedure? After receiving a root canal it is very common for people to experience some pain in their teeth, usually in the form of tooth tenderness. During the first one or two days it is possible and normal for you to experience some pain that will be either sharp or incredibly dull. Swelling is also normal when it comes to post root canal procedure, but it tends to heal over time. You may also experience a sharp sensation when chewing, so stick to fluids and semi solid foods. Will I need a Crown after my Root canal? A crown is not always necessary; if you receive a root canal procedure for your front teeth, no crown is needed. That being said, a crown can greatly strengthen your teeth and you won’t have to make consecutive trips to the dentist. I just received a crown will I need a root canal? A root canal is not necessary if you have recently received a dental crown. A root canal is only necessary if you happen to have cavities or infections deep within the tooth. A root canal can, at times, be a very stressful experience, so allow us to make it much easier for you. You can visit our website to find out more about the procedure and equipment we use, or email us at drendo4u@yahoo.com. Have you asked yourself lately do I need root canal surgery? 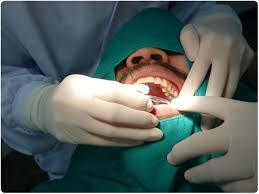 is one of the most common and well known procedures in the field of dentistry. Not only does it greatly ease a patient’s pain, but it can also eradicate the problem with your tooth, prolonging the life of your teeth. But why would a person get a root canal in the first place? You may have to go for root canal surgery due to a variety of reasons, each of which stems from removing, filling, or disinfecting the affected tooth or teeth. Starting off with what is possibly one of the most common reasons for a root canal, deep decay happens due to lack of oral care. Contrary to popular belief, teeth are actually a very sensitive part of the body and are in need of constant care and maintenance. People who fail to care for their teeth often start to see their teeth begin to decay, and this decay can take place inside or outside of the tooth, making it hard to predict whether the decay will be visible or not. A root canal procedure tends to repair the infected tooth by cleaning it from the inside, or by extracting it completely. Cracked tooth or teeth might not be very common among the general populous, yet can adversely affect the rest of your teeth. A chipped tooth, regardless of the size of the tooth broken off, can leave the inside of the tooth vulnerable to infections. If the tooth cannot be repaired, endodontists tend to remove the tooth completely in order to preserve the other teeth. It is very rare for the pulp in a tooth to break down, yet if it is to happen then an endodontist tends to remove the entire tooth. If the pulp within the tooth tends to break down or split, there is a risk of bacteria forming within the cavity. This can lead to swelling, aches, and major infections that can cause serious damage to the tooth as well as other teeth in your jaw. While it is possible to keep the tooth clean and restore its health, if the tooth does not respond properly to the treatment then an endodontist will have to use a root canal procedure to protect the rest of your tooth. 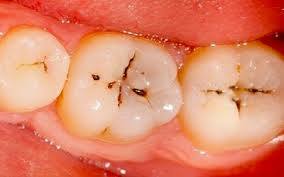 A faulty crown is also a common reason people get a root canal; this is in part due to faulty placement of the crown. 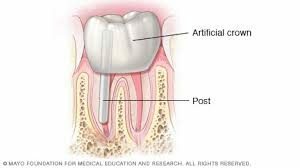 If the crown happens to rust or due to any reason breaks off into your tooth, then one of the best solutions to this problem comes is a root canal. A root canal can save your other teeth as well as the pain that you would otherwise have to endure. Overcome your fear of root canals, and allow us to help you with this procedure. Book your appointment today and watch as we completely rid the pain that you are currently experiencing. We will provide you with the most optimum care at virtually no risk. So what are you waiting for? Visit the top nyc endodontist Young Bui DDS today! Have you been asking yourself what is an endodontist? There is a large variety of specialists in the world of dentistry, and each of them is experts of their respected fields; one such specialist is called an endodontist. While it is true that endodontists are not well known among the general populous, they are still a very important figure in the world of dentistry. So for those of you who do not know what an endodontist is, you are welcome to read on. An endodontist is a person who studies endodontics, and a root canal procedure is their specialty. Rather than being concerned with the outside of the tooth, an endodontist takes care of the inside of the tooth. Within every tooth there is a small bundle of nerves called the pulp, this pulp is the most important part of your tooth. An endodontist’s main concern is to ensure that your pulp stays healthy, or he will remove it so that it does not cause too much damage to the rest of your tooth. Think of an endodontist as a dentist, except that they have a lot more knowledge, experience, and training. They are more respected for their expertise in a root canal procedure, as they are incredibly skilled and have a lot of experience in this particular procedure. An endodontist is not very different from your regular dentist, as they both go through the same procedure to find the cause of the pain and ache in your tooth. 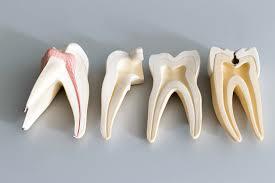 They even perform the same procedure in order to extract or clean the tooth. However, the difference comes in the level of expertise between these two fields of dentistry. An endodontist has much more experience than an ordinary dentist, which is why their solution to a certain problem can be vastly different from that of others. Endodontists are basically dentists who specialize in keeping your teeth healthy with the help of endodontic therapy. This therapy often comes in the form of a root canal, where they clean and fill the inside of your tooth in order to maintain its health. They also do a retreatment for anyone who has previously gotten a root canal, but still feels an ache inside their tooth. 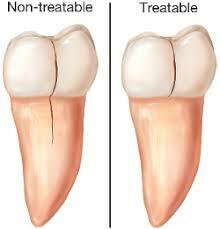 Even if the previous treatment was not by them, they are still able to fix or treat the tooth. Often times a filling inside the tooth will not sit nicely with the patient, or may lead to an adverse reaction, which is why they mostly get another treatment. People often do not know the difference between a dentist and an endodontist. However, now that you know the difference between a regular dentist and an endodontist, you can choose who to go to depending on your ailment. For more information, you can contact us at drendo4u@yahoo.com, or book your appointment at our website. Our customer support staff replies quickly and often, to ensure that you receive the best care and satisfaction and nothing less. If there is one phrase a dentist could choose that will scare a new client, it would be a root canal procedure. While a root canal procedure is one of the most difficult and technical procedures that every dentist performs, it is also one of the most feared dental procedures to this day. With various internet personalities and celebrities talking about their experience with their dentist, most people now tend to take their pain for granted and simply bear it instead of seeking treatment. So, to negate this stigma and to set the record straight, we will go through the entire root canal procedure so you can put all your superstitions to bed. Abraham Lincoln once said, “give me six hours to chop a tree and I’ll spend the first sharpening the axe”. This aforementioned quote perfectly exemplifies the importance of preparation for a dentist before they can start a root canal procedure. Contrary to popular belief, your endodontist or dentist does not begin the procedure instantly. 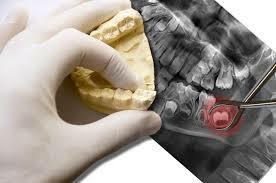 Rather most endodontists first require that you get an X-Ray of your jaw. This will help them greatly, as they will know just where to go in order to properly clean your tooth. More importantly this X-ray will save you a lot of time. After they receive your X-Ray, they will give you one or two days in order to prepare, you can use this time to mentally prepare yourself for the operation. On the day of the operation your dentist will start preparing you for the operation at hand. They will do so by first placing a rubber dam near the affected tooth in order to stop the saliva in your mouth from interfering. Once the dam is set in place, your dentist will then give you anesthesia, which will keep you from feeling any pain whatsoever. Once they administer an anesthetic, it is time to start the procedure. After administering the anesthetic, your dentist will start by drilling an access hole into your tooth. Through this access hole they will be able to properly extract the dental pulp, bacteria, and any debris from your tooth. This process is virtually painless, and does not take more than 45 to 90 minutes. Once they have cleaned your tooth, they will use a filing set to shape the inside of your tooth. Once your dentist is done with the procedure they will seal up your tooth so that it may stay safe from a number of different bacteria. That being said, if you happen to have any bacteria inside your tooth, then they might wait for the medication to work its course; so, they will not close it instantly. Rather, they will take their time and will sometimes even let it stay that way for several days. We hope that this detailed explanation of the root canal procedure answers most of your questions, and helps put your fears to rest. If you wish to know more, please visit our main website at youngbuidds.com and get information on our practice and the technology we use. A root canal is an endodontic procedure that endodontists perform. It mostly involves extracting the pulp inside your tooth in order to preserve the tooth, or to clean it. It is an incredibly complicated procedure, as there are a multitude of different nerve endings that they must be careful of. It can greatly reduce pains and aches people have inside their tooth and can save them from a variety of different dental ailments. No, it will not be. We will first administer suitable anesthetic before starting the procedure. This anesthetic ensures that there is no pain during the operation; although the nerve is already dead, a dentist will still give you anesthetic to ensure that you stay comfortable during the operation. 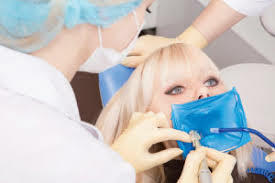 The anesthetic will keep you calm, and allow the dentist to properly perform the procedure. A root canal usually lasts between 45 and 90 minutes, depending on the severity of your condition. If you happen to have a very minor ailment, such as minor decay, the procedure can take about 30 minutes. However, if the situation is very serious, then your dentist may even have two different therapy sessions, each about 45 minutes. In most cases, a root canal does not take more than 90 minutes. A root canal can definitely be redone, regardless of the severity of your situation. While an endodontist may ask you for a little more documentation on your previous treatment, it is possible for them to redo the entire procedure. Even if you have a crown on your tooth, they will still be able to properly redo the entire procedure. During the procedure you will not feel any semblance of pain as you will be under the influence of anesthetics. That being said, it is very common for anyone to experience a sharp sensation in their teeth for at least a week. By the second week the pain will begin to fade. The effects of the anesthetic do not last for more than three hours. Will I need a crown after a root canal? A crown is often put on top of a tooth in order to keep bacteria out, but it is only necessary if your dentist doesn’t seal up your tooth properly. Depending on the severity of the procedure, it is very common for dentists to tell you whether you must get a crown or not. I just received a crown; will I need a root canal? In most cases, a root canal is not necessary once you get a crown. Unless that crown happens to give you an infection, or is not placed properly, there is no need to get a root canal. In case you have any more questions or any concerns pertaining to the procedure, you can visit our website or you can contact us at drendo4u@yahoo.com. Some may wonder why do people get root canals. A root canal is a very common procedure that endodontists perform on a daily basis. 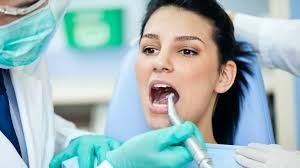 Due to the stigma attached to this procedure, people are always hesitant to go to the dentist and always hope that whatever they have will not require a root canal. This is why there is a need to alleviate the anxiety that surrounds this procedure. We will start off with the most obvious reason why you may need a root canal. Cracked or chipped teeth can pose quite a problem for your affected and other teeth. A chipped tooth can expose the inside of your tooth, which can pose a serious problem. Exposed nerve endings and pulp can often times get infected if you leave them out open for too long. So make sure to go to your dentist as soon as you chip your tooth, or break it. Now true, you might be thinking why you would require a root canal for filling. To put it simply, sometimes a tooth can be too severely damaged; so, in order to preserve the tooth and reduce the risk of further decay or damage, your dentist may resort to a root canal. This type of filling is often called large fillings and it can be a very time consuming procedure. Speaking of decay, decay is very common in people who tend to lack good oral hygiene. However, if this lack of oral hygiene exceeds a certain degree, the decay can go very far into the tooth. If you tend to ignore this decay in your tooth, it can lead to extreme pain or even loss of teeth. Decay is often very hard to track down, as it might have started from a small place on the surface, but slowly began to expand within the tooth. So, if you happen to feel an ache in your tooth, it is possible that it is because of the decay. Contrary to popular belief, root canals help relieve the pain that otherwise makes it hard for you to eat. A root canal procedure can surely help you with an ache in your tooth, or some swelling. A root canal also helps you with other problems that you may otherwise face. The main purpose of a root canal is to relieve the pain, so you can enjoy a healthy life. If you still have an ache in your tooth, chances are that you will need a root canal in order to rid yourself of the ailment. This is more apparent, especially if you suffer from any of the aforementioned symptoms. If you have yet to receive a root canal, you can contact us at drendo4u@yahoo.com and book your next appointment. You can also go to our main website for more information, or if you have any question about our service. Have you asked yourself what is an Endodontist? The dawn of the 20th and 21st century has given birth to a variety of fields as well as different occupations that no one felt were ever necessary. Subjects such as econometrics and environmental economics are just some examples of professions that were once thought of as irrelevant, but have now become major parts of a company. Endodontics is one such craft that was thought of as irrelevant, yet has now become one of the most important branches of dentistry to date. For those of you who are unaware of this, here is a quick description. Endodontics is the study and practice of services that revolve around the biology of the dental pulp or the endodontic. Endodontics is not only the study of the pulp, but it also covers a vast array of different periradicular conditions. The application of endodontics comes down to the preservation of the dental pulp in terms of health, or simply removing it in case of irreversible damage. Endodontists do not only help extract or treat teeth that have damage to their pulp, but also preserve teeth that are not responding well to non-procedural treatment. Surgery is often the last resort in endodontics, especially for irreversible damage. One of the most well known treatments of any endodontist is the root canal. Their procedure involves a variety of different ways to disinfect, remove, and fill the infected tooth. 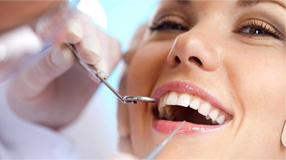 Their root canal procedure prioritizes the health of your tooth, and then the entirety of your teeth. 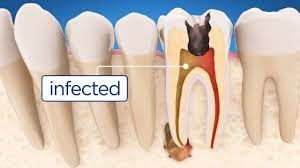 This means that they will first try to save the infected tooth without removing it; however, if the tooth fails to yield positive results, the endodontist will remove it entirely. Endodontists are people who either excel or are in the practice of endodontics. The most common misconception many people have is that endodontists are just dentists. This could not be further from the truth, as there is a very recognizable difference between dentists and endodontists. Dentists and endodontists may practice dentistry, but that is where their similarities end. 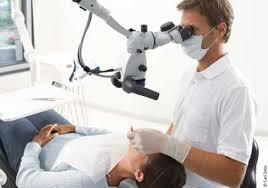 Endodontists are specialists in the field of dentistry and their work speaks for themselves. Not only are they more experienced than a dentist, but they are also much more efficient in their procedure as well as pain management. This makes most of their processes nearly painless, as they use various drugs and pain relievers during their procedure. Their expertise is on another level compared to a regular dentist, as endodontists commit to over 20 root canal surgeries in a week whereas normal dentists struggle to barely meet half of that number. Book your appointment today, and rid yourself of the pain that you are experiencing in your tooth. Procrastinating and simply ignoring the pain will only make matters worse; so, drop by our clinic where we will provide you with unparalleled care. We have both the experience and the technology that will ensure that you receive optimum care. You have probably heard of a root canal procedure a few times throughout the years. People often go through a root canal procedure at least once, making it a common procedure among people. However, most people are unaware of the exact root canal procedure, as various rumors have created misconceptions in peoples’ mind. In this guide you will learn about the root canal procedure. 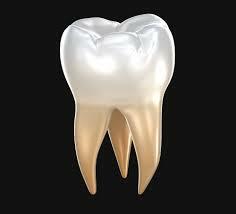 But before we can get to the root canal procedure, first let’s talk about the root canal itself. A root canal is a very common treatment that endodontists recommend in order to help save a tooth that’s heavily infected or damaged. The root canal procedure often becomes very important if the tooth happens to decay beyond repair. A root canal takes out all of the sensory nerves and pulp from the inside of the tooth and simply cleanses it and seals it off. Note that if the decay and infection are allowed to stay inside the tooth, they can eventually spread and make matter much worse. This is why it becomes necessary for most people to opt for a root canal. Moving onto the root canal procedure, it often takes place over a course of several days. In order to determine the condition of the tooth, your dentist will often ask for an X-Ray, after which the dentist or the endodontist begins the procedure. The dentist will start off by providing anesthesia or other numbing agent to the patient; this will help put the patient at ease. Then in order to keep saliva away from the tooth, they will place a rubber dam around the tooth, completely surrounding it. This dam will keep the tooth dry throughout the entire procedure. A very common misconception about a root canal procedure is that the drilling is incredibly painful, which tends to scare people off. 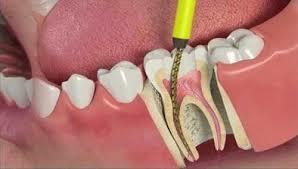 The drilling is not painful in any way, as your dentist will give you an anesthetic before starting the procedure. Your dentist will drill into the infected tooth until they reach the pulp of the tooth. There they will begin to clean and repair the tooth from the inside in order to preserve your tooth. In case there is an infection within your tooth, dentists often take their time before closing the tooth. They do so because of the medicine that they apply to the tooth, which cleanses out the infection. 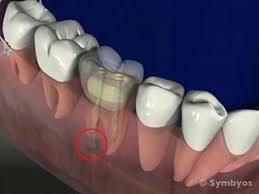 That said, if the infection has spread too far into the tooth, they will have no choice but to remove it completely. After they clean the inside of the tooth, they will fill and seal it off. We at Dr. Young Bui’s clinic, hope that this guide on the entire root canal procedure will greatly help you overcome the fear that you have about this infamous procedure. 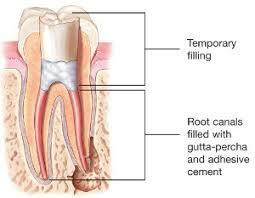 If you are yet to receive a root canal, you can contact us at drendo4u@yahoo.com and book your next appointment. For more information please visit our main website.